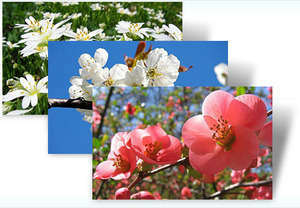 As the spring approaches, it's time once again to let the nature's beauty take control of your PC's desktop. The official Czech Spring Windows 7 Theme from Microsoft will bring beautiful landscapes and flowers to your PC; the Czech countryside comes alive with fresh spring colors in this free nature theme for Windows 7. As the spring approaches, it's time once again to let the nature's beauty take control of your PC's desktop. For security reasons, you should also check out the Czech Spring Theme for Windows 7 download at LO4D.com which includes virus and malware tests. Additional screenshots of this application download may be available, too.